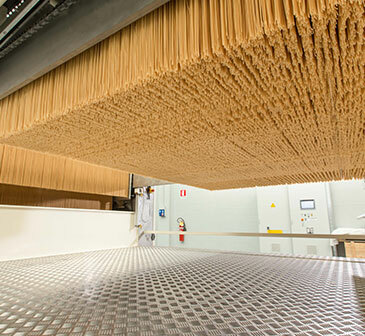 After the pre-drying stage the pasta enters the dryer, which has either three or five tiers. 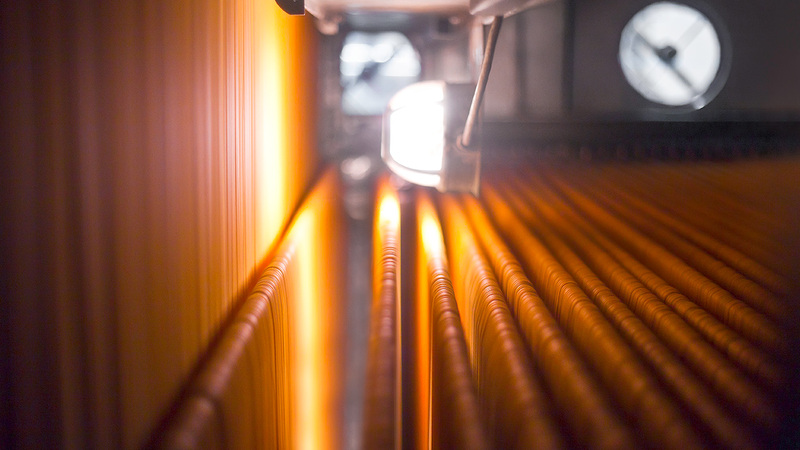 These tiers are physically separated from one another and house the technological core of the Thermo Active System. 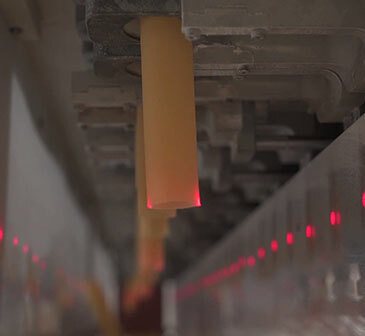 The pasta passes through accelerated drying and stabilisation zones in which the temperature and humidity parameters are programmed in order to achieve perfect drying. 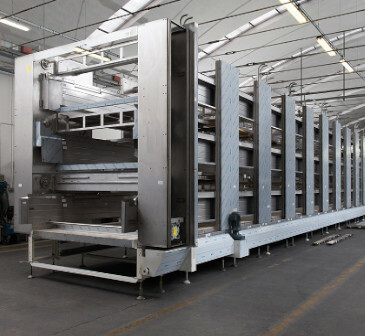 Spreader with sticks up to 2500mm in length, with a device for collecting the trimming scraps, mincing them and returning them to the press. 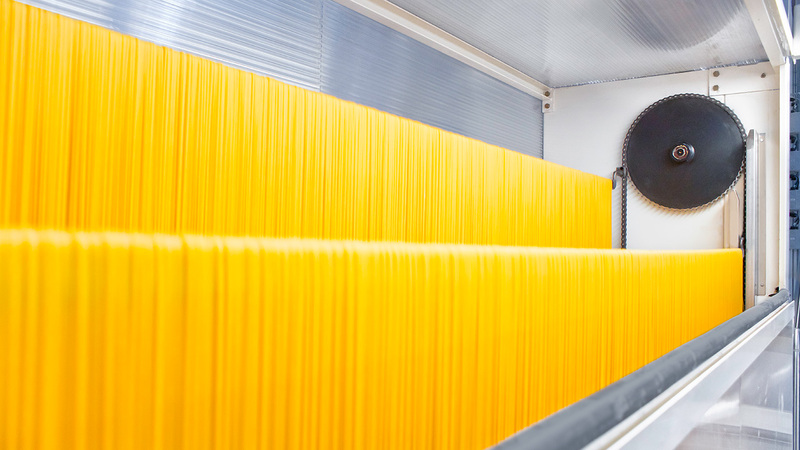 The pasta is surface-dried with very hot air flows before entering the final dryer. 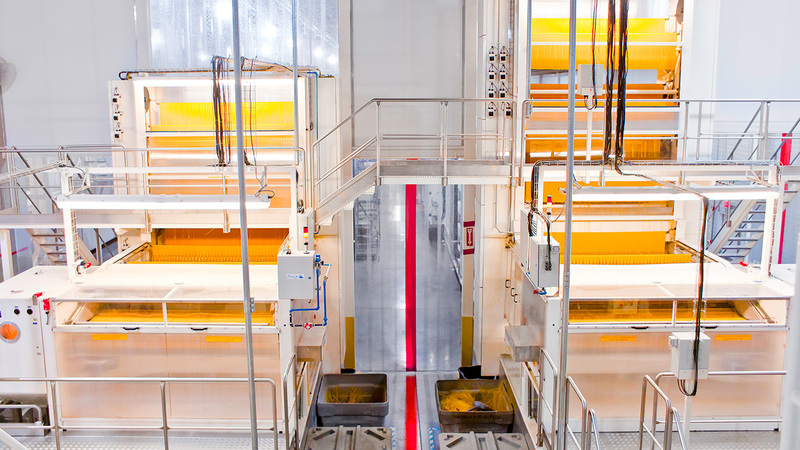 The drying process is enhanced by thermoactive climatic zones. 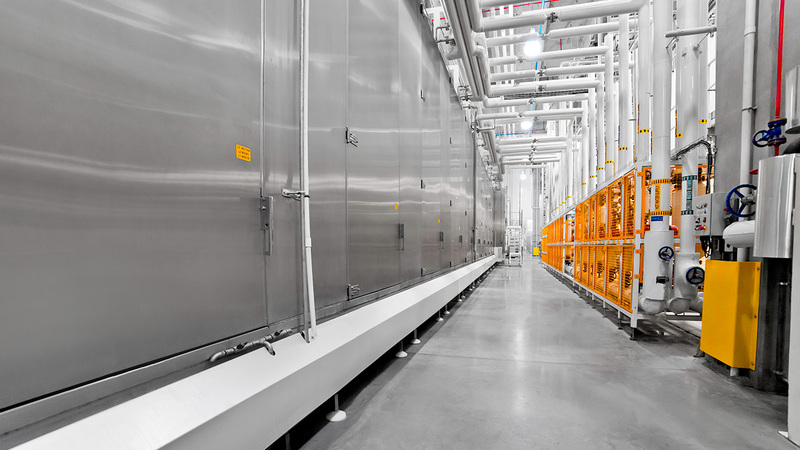 The structure is made up of physically separate process tiers for maximum humidity and temperature control at every point. 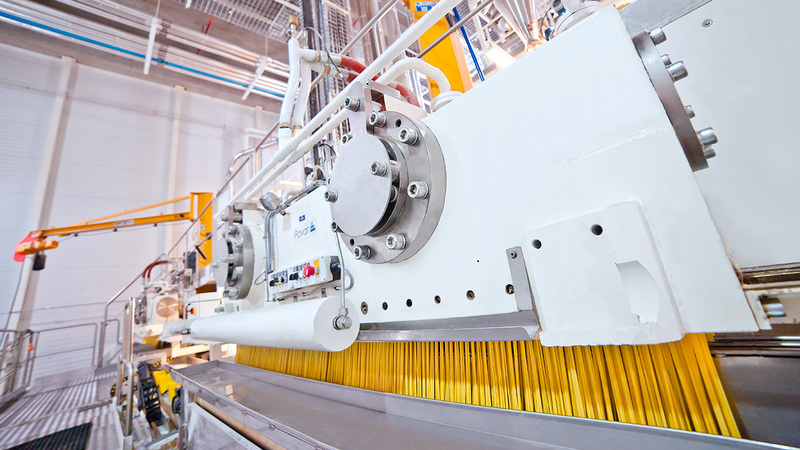 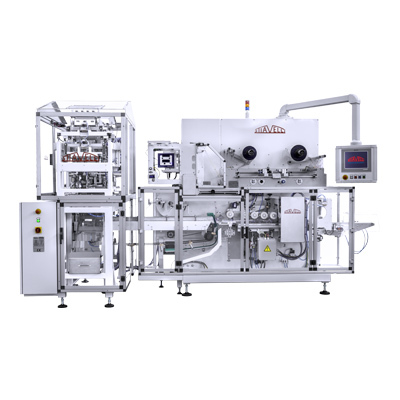 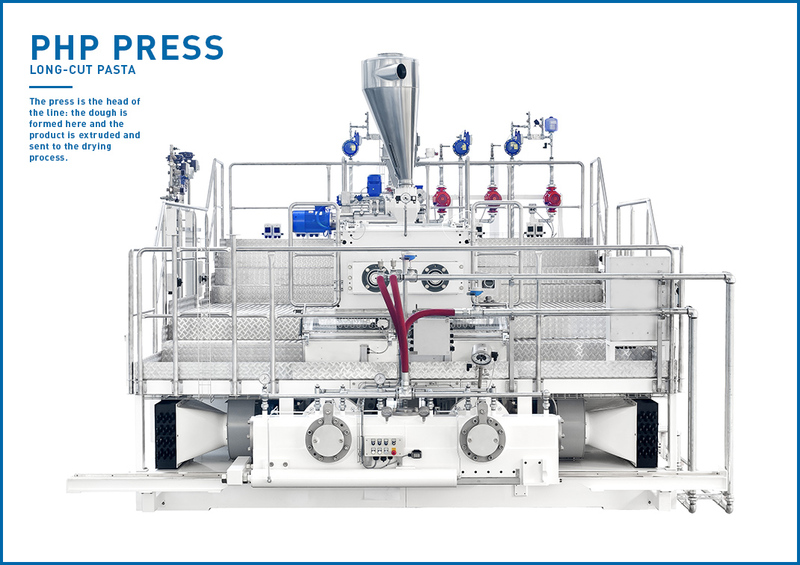 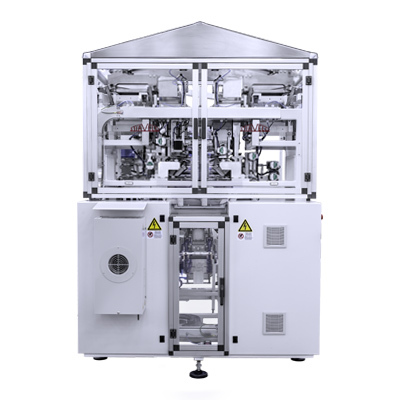 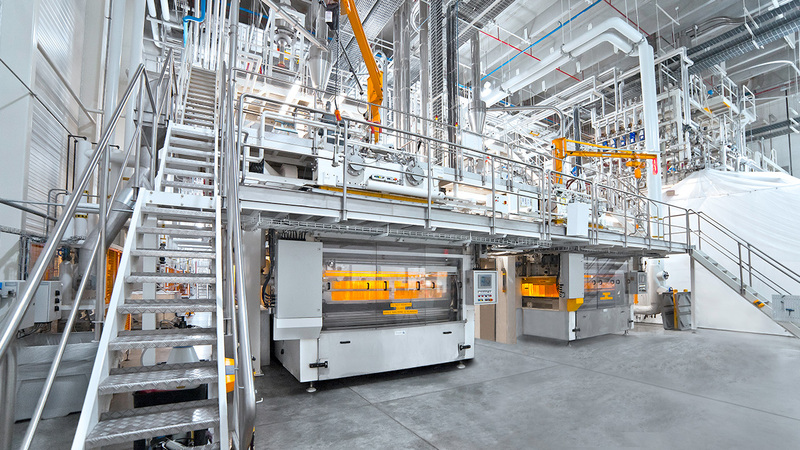 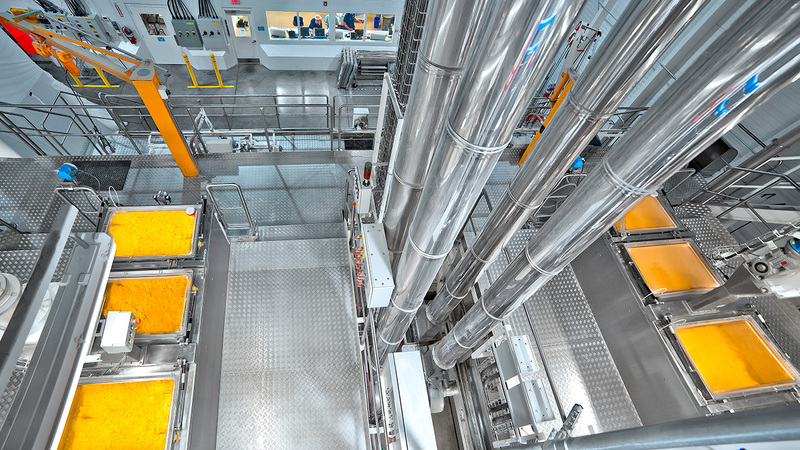 This machine is equipped with automatic ventilation units with cold water heat exchangers that bring the pasta to an ideal temperature before the packaging stage. 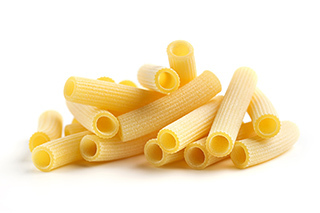 Removes the pasta from the sticks and cuts it to the desired length.